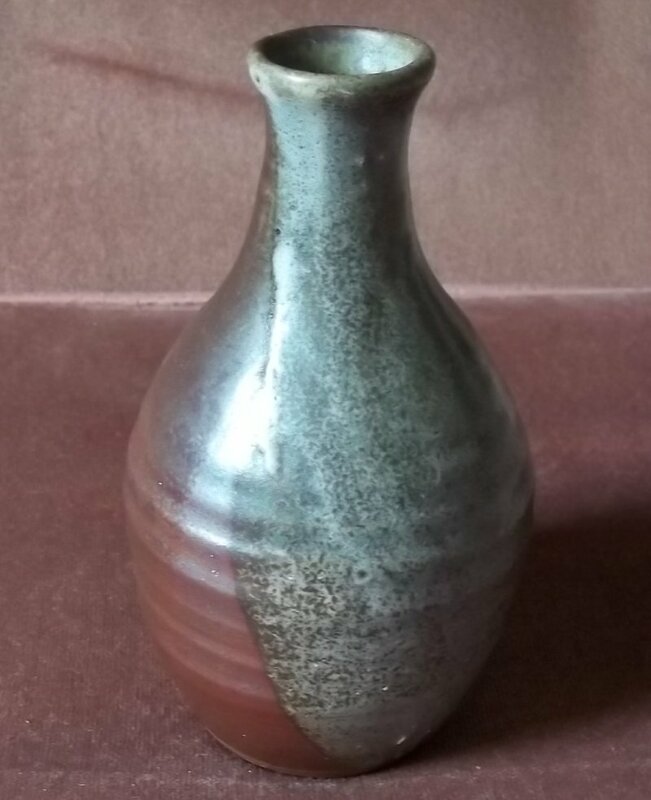 Jug and vase with "K" mark. Maybe not Kingwood. 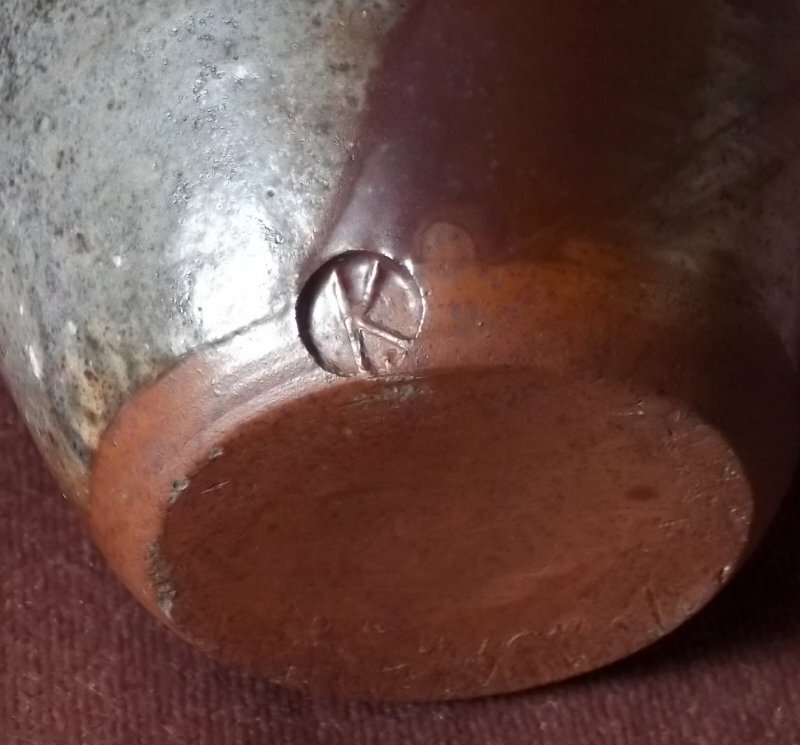 Re: Jug and vase with "K" mark. Maybe not Kingwood. It looks like the Kingwood Pottery mark that subsequently became Grayshott Pottery in 1977 when Kingswood and Surrey Ceramics merged. It had numerous potters working there, including Michael Cardew for a few months. Not one of his, which all had his personal seal on, contrary to what you might believe when looking at that internet auction site. couldn't find anything else like it. I thought it was the same as ones I've seen. I can't be 100% certain that it is Kingwood and, if someone comes up with a better option then I could change my mind. However, they made all kinds of wares so there was not a pottery style. Basically, they fulfilled orders for retail customers. Another item with the same mark. Heavyish dark stoneware. I would also put Skip's first piece, shown in the thread below, with these two. So maybe not Kingwood. The "K" is different on his second jug.